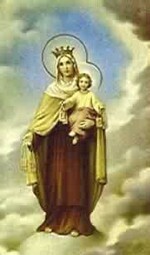 Mount Carmel plays an important role in the Book of Kings (See 1 Kings 18:19-21). In the twelfth century a group of hermits went to dwell at Mount Carmel in Galilee and founded the contemplative "Order of Carmelites" under the patronage of Mar y. 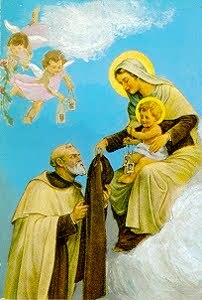 On July 16,1251, at Aylesford Kent, England, according to tradition, Our Lady appeared to Saint Simon Stock, a Carmelite, and made the brown scapular of the Carmelite habit the sign of her protection. With it came the promise that whoever wore her "habit" devoutly would be assured of eternal salvation. 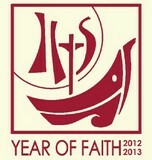 This is the Scapular promise of final perseverance.